What Do You Wish You Knew When You First Started Out? You’ve started your own IBCLC practice - now what? We’re here to share what we wish we’d known when we started in order to help you along in your own journey. We’re touching on three main areas that we feel are essential to building and growing your business. Are you new to the independent IBCLC practice? This episode is for you! Being an entrepreneur is tough work and it takes a brave soul. Go you for venturing out there! But how do you get things moving forward as a new business? We’re here to share what we wish we’d known when we started in order to help you along in your own journey. We’re touching on three main areas that we feel are essential to building and growing your business. 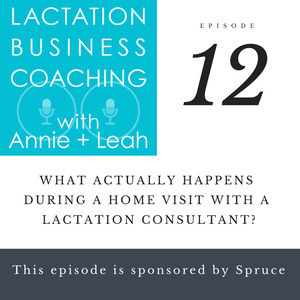 What Actually Happens During a Home Visit with a Lactation Consultant? Leah and Annie take you through their individual routines for home visits. Home visits are personal and relational and it’s important to create a safe and comfortable environment for your clients. If you’ve ever wondered how another lactation consultant runs a home visit, this is your chance to be a fly on the wall. Documenting what happens at a lactation consult is super important for so many reasons, but figuring out just want to say and how to say it can be challenging. In this episode, Annie and Leah will explain their approaches to charting and offer you tips and strategies for making this critical task less overwhelming. Whether you’re paperless or love your clipboard and folders, this episode will help you streamline your charting workflow and feel confident in your documentation. We’re working with families in their most desperate moments, and we’ve all experienced those moments when we feel like we can’t give anymore—hello, compassion fatigue. 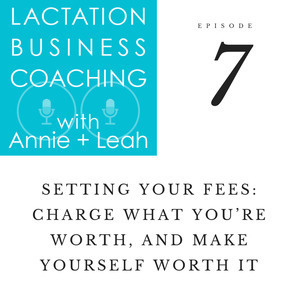 How do you set your fees so that their fair and compassionate to your clients without undervaluing your worth? As a private practice IBCLC your website is usually the first contact your prospective clients will have with you and your business. How your prospective client views you and your business through your website can impact whether or not they take the next steps in becoming your client. 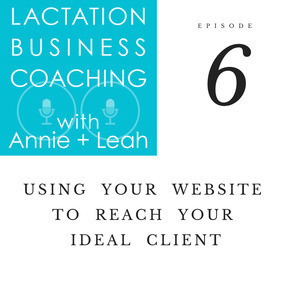 In this episode we will uncover the top must haves for your website! 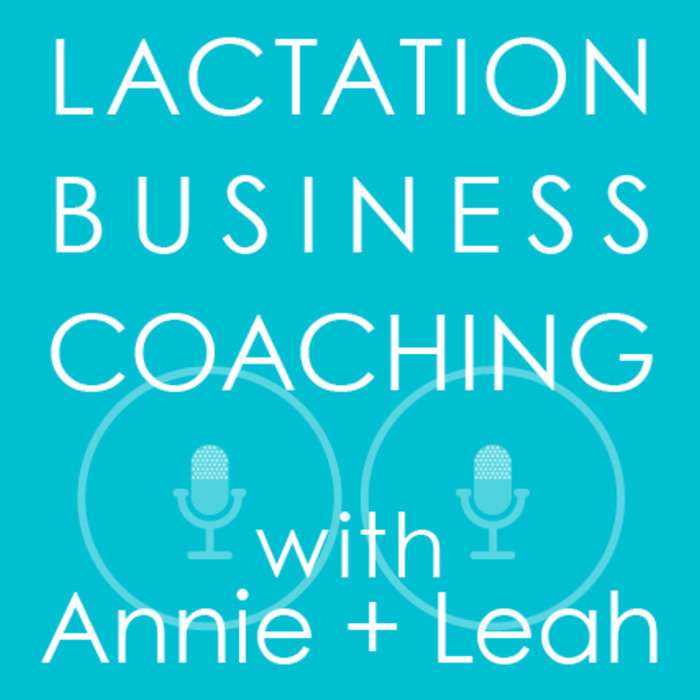 The world of lactation is constantly changing and evolving which means it’s critical to be up to date on current practices as well as always working to hone and improve your skills. This can be challenging as a solo private practice IBCLC. Today we are going to discuss ways to boost your skills and stay up to date so that you can provide top notch care to the families you serve. Private practice has lean times and busy times. 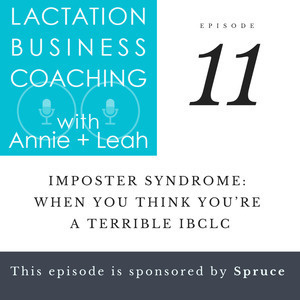 Join lactation consultants Leah and Annie as they talk about navigating both extremes.